As a first-class provider of innovative logistics and supply-chain services and solutions, Wahj AlAyn Company has an extensive network every when in Iraq. Providing advanced customer-specific solutions through our value-creating services and IT technology in supply-chain management, WA comprehensive service network and platforms will allow you to make All the Right Moves for your business. Our dedicated and experienced professionals always provide you with tailor-made logistics solutions, customized to your particular needs. WA focuses on serving customers with global sourcing and supply-chain-management needs, creating value through innovative end-to-end international logistics programs. We are also a leader in providing transportation, warehousing and distribution services in Iraq, offering professional and efficient solutions. As a global company based in Asia, WA is exceptionally positioned to serve both international and domestic customers in the world's fastest-growing markets. 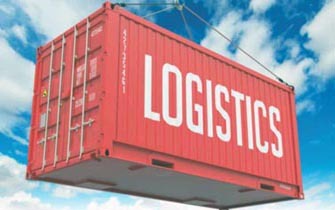 Effective and top-ranking provision of logistic services. Tailor-made individual solution; our motto: “We think in favor of the client”. Provision of logistic activities all over Iraq and the world. Innovations and continuous development of technologies and processes. Founded in 2005, WA provides warehousing, transportation, and import logistics solutions from the world to Iraq and vice versa whether it is a large or small, global or regional. WA manages both dedicated and multi-client distribution centers and can scale capacity up and down based on your sales cycles. Our fleet of dry and temp-controlled trucks allows us to offer a tightly integrated warehousing and transportation solution. We offer direct overnight delivery. Distribution is the link between your business and your customer. For a large organization, it's a critical operation owing to the many specific requirements made on the deliveries, such as on-site assembly, delivery reliability, vehicle requirements and a conscious strategy for a closed distribution network. By opting for a dedicated transport solution, you can benefit from the expertise of a professional transport company. Replacement and sale of used equipment. Recruitment, training and management of drivers. WA Fleet Management gives you the best of both worlds. Ask our experts for business cases to show how their expertise can add value to your business.